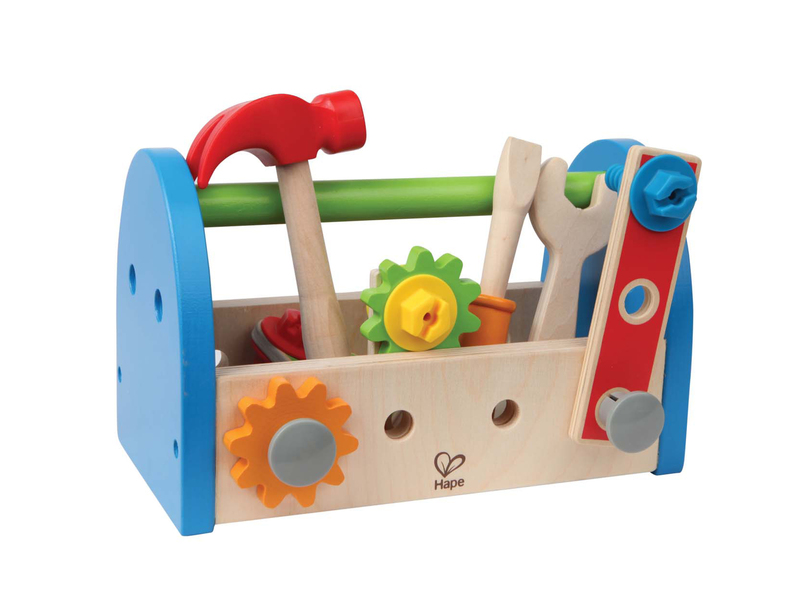 Little ones love lending a hand when there’s urgent jobs to do around the house, and what better than their very own brightly coloured tool box complete with wooden hammer, screwdriver, spanner, assorted pieces, plus lots of nuts and bolts. 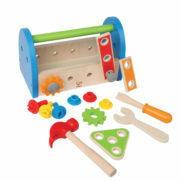 Make lots of noise and hours of building fun with this Fix-It Tool Box from Hape. 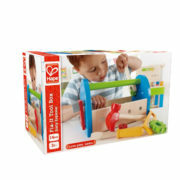 This brightly coloured, easy to carry, wooden tool box contains 17 pieces, everything the young handy man or woman needs to complete those essential DIY repairs and important building projects. 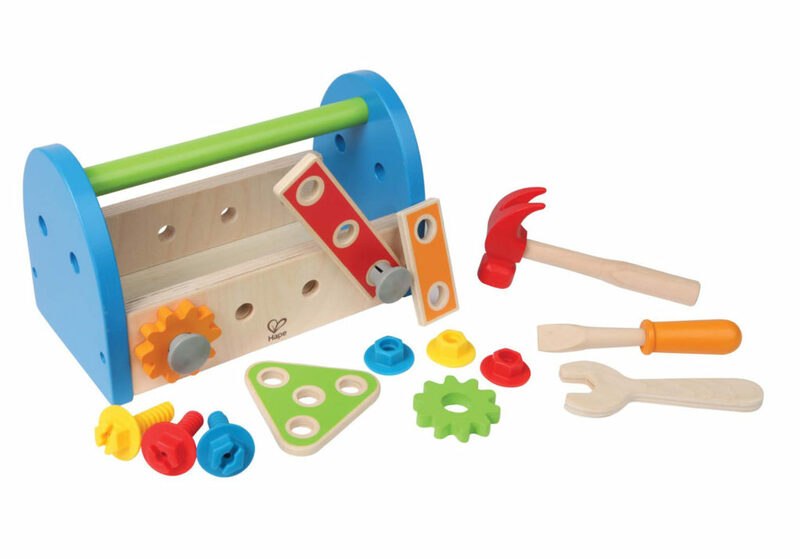 Use the plastic nails, nuts and bolts to attach different pieces to the tool box, fix everything in sight, or build your own construction, before taking apart and building something new! 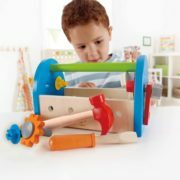 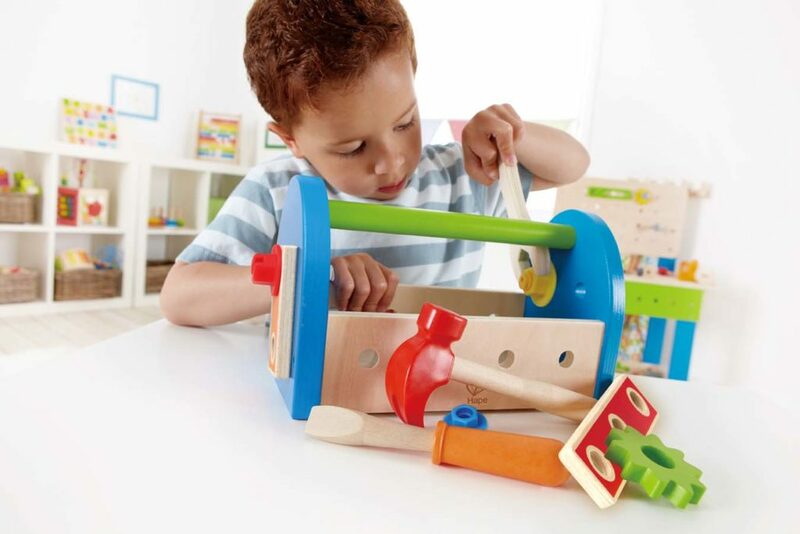 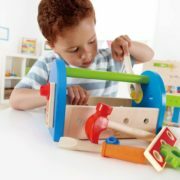 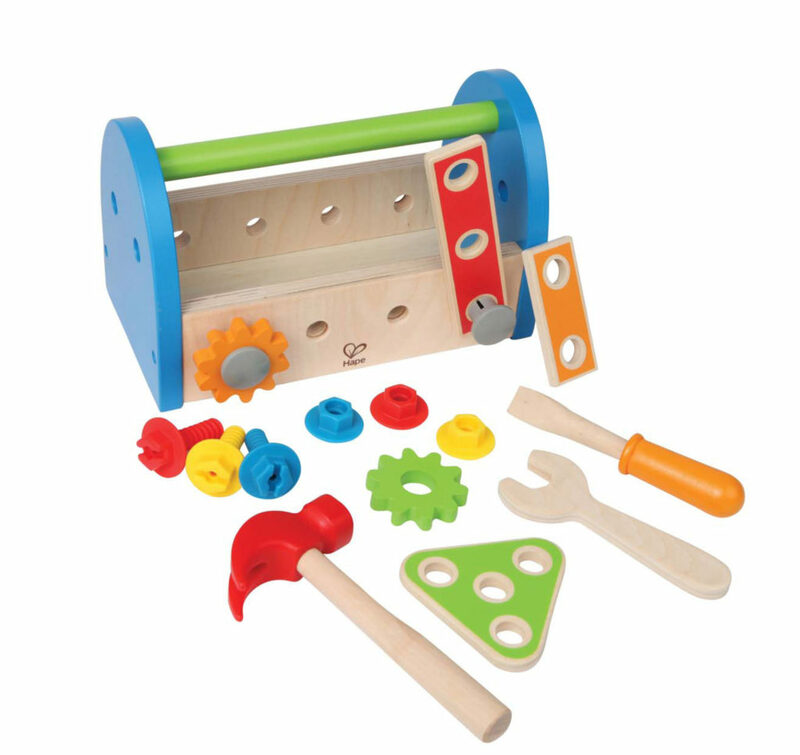 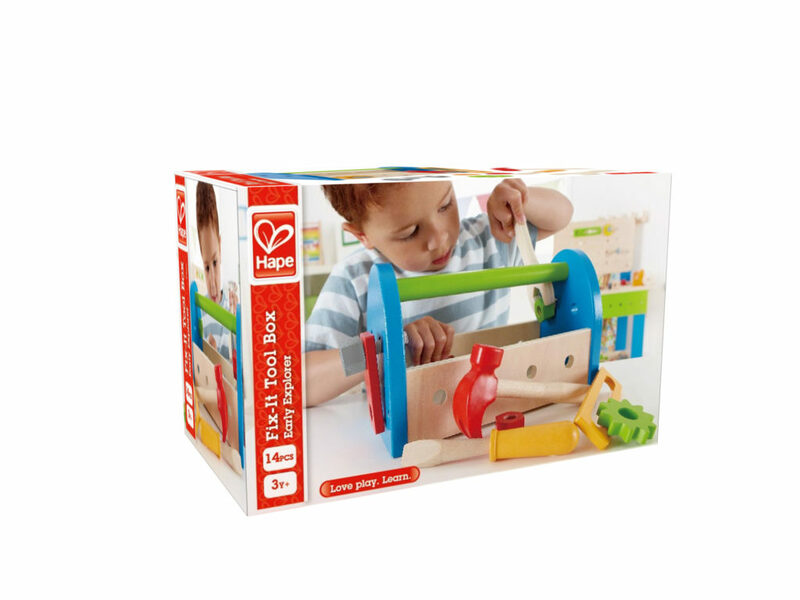 This durable and hard wearing wooden tool kit is perfect for little hands and is finished in brightly coloured, child safe paint. 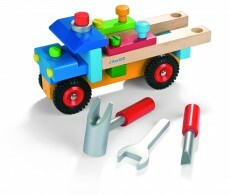 See if your little one can name all the tools, and describe what each item does! 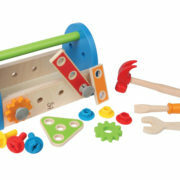 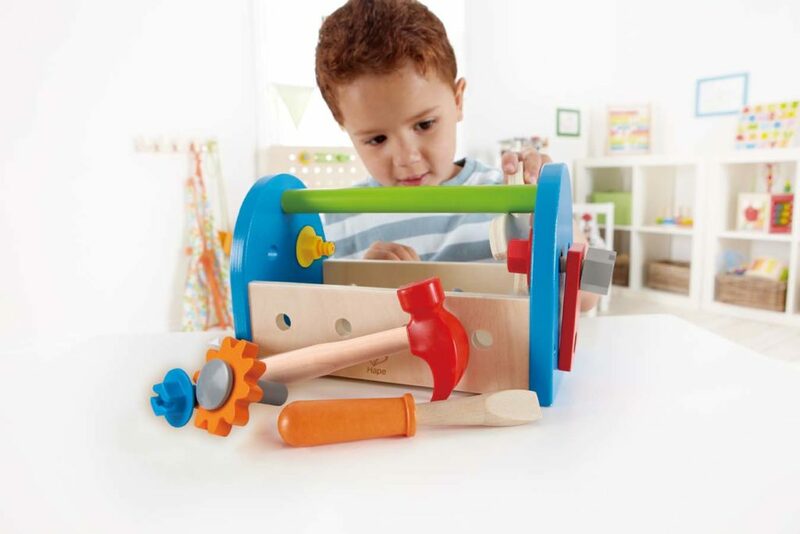 Pretend tools help develop fine motor skills and encourage creativity.